Gosh, Gnosall Cottage is gorgeous! Gnosall Cottage is a charming thatched cottage, sitting in the heart of the very popular village of Woodleigh. 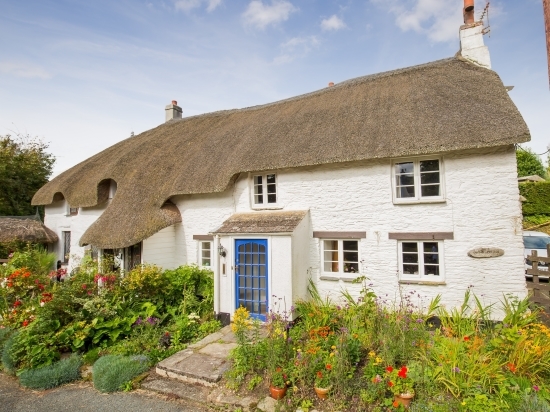 With a wealth of period features including exposed beams and a lovely open inglenook fire with copper cowl, this quintessential Devon cottage has two good sized reception rooms to the front with a kitchen/breakfast room to the rear giving access to the parking area and garden. Upstairs are three double bedrooms with a family bathroom. The garden to the rear is a special feature of the property having a greenhouse and workshop, together with a separate area for vegetables. Gnosall Cottage is offered to the market with an asking price of £400,000. For further information please contact Marchand Petit’s Kingsbridge office on 01548 855593.